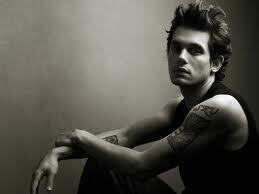 I have never ever been a John Mayer type of kiddo until this week. For some reason, as I am studying for finals, he calms me. He speaks to me. I'm IN LOVE with John Mayer and all of his grand beats and lyrics. One more final to go, and then I am HOME FREE!! Last spring semester of my undergrad will be complete! That feels AMAZING!! Just gotta finish strong! If my calculations are correct, the worst I can get is a 3.7...I think I am totally okay with that. I seriously think that this week has given me an ulcer. Last night, I woke up with an extreme pain in my stomach. Woke up, downed some tums, took my final, and was good as new! How sad is that? Finals week causes the inside of my stomach to bleed?! Woof. It's my birthday on Friday, and I get to be done with school and move home for my birthday. BEST.PRESENT.EVER!!! that totally happened to me too! the day after my anatomy i ended up in the ER with a stress ulcer. so lame!